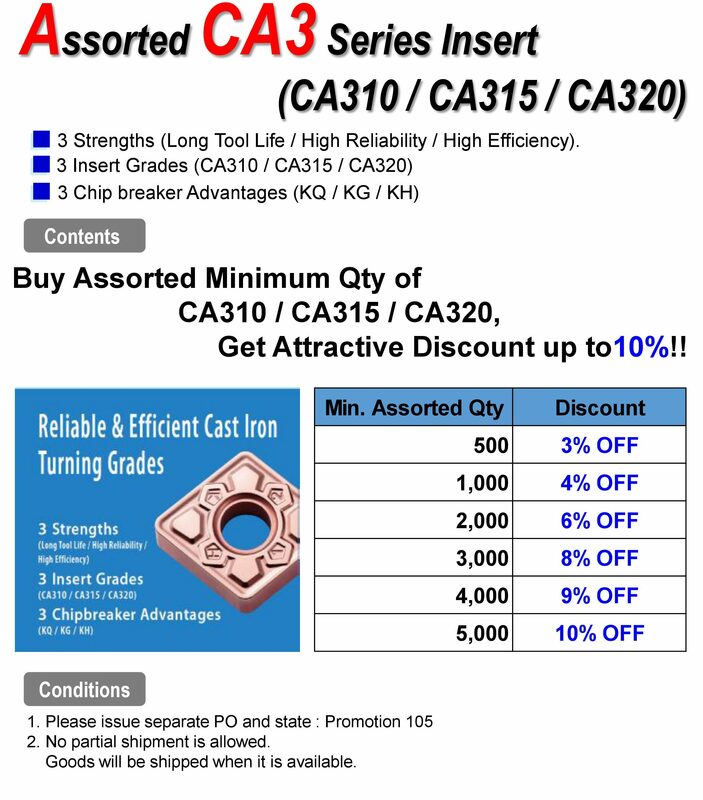 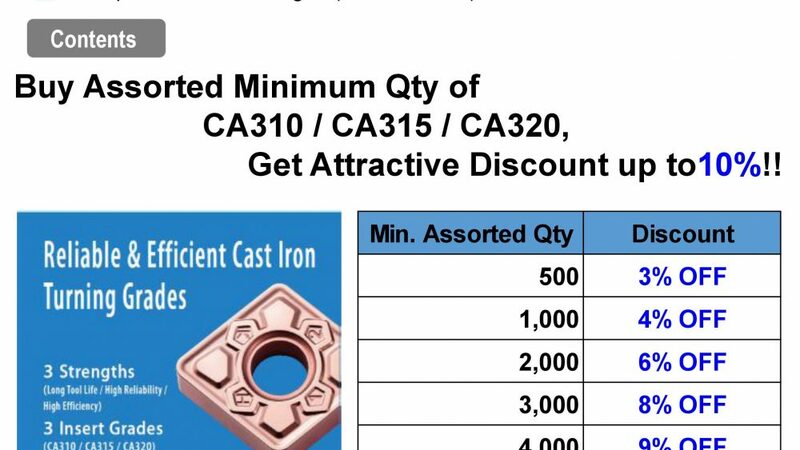 Get disc upto 10% when you buy Assorted CA3 Series Insert! 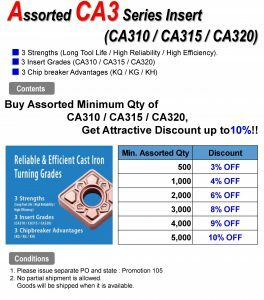 Get disc upto 10% when you buy Assorted New Cermet! 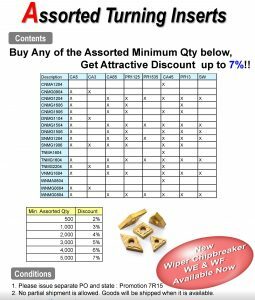 Get disc upto 7% when you buy Assorted Turning Inserts! 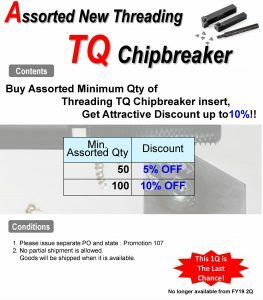 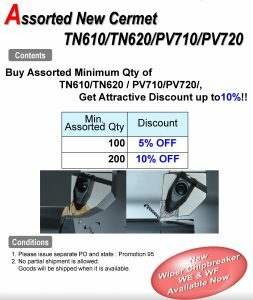 Get disc upto 10% when you buy Assorted Threading TQ Chipbreaker! 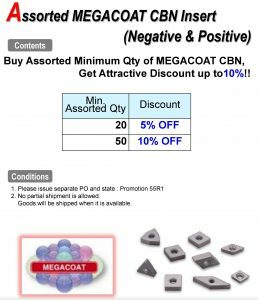 Get disc upto 10% when you buy Assorted MEGACOAT CBN Inserts! 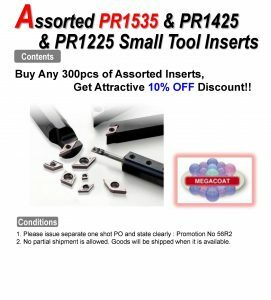 Get disc upto 10% when you buy Assorted Small Tool Inserts!